The Galveston County Historical Museum today announced its collaboration with Hotel Galvez & Spa, A Wyndham Grand® Hotel, to create a new historical exhibit in honor of hotel’s centennial celebration. 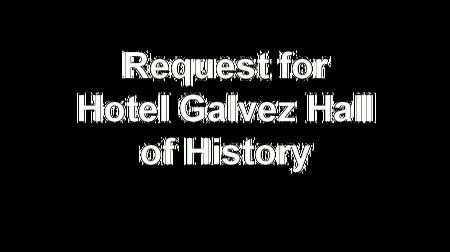 The museum is looking for one-of-a-kind items related to Hotel Galvez to be donated to exhibit; donated items will become part of the permanent collection. The new Hall of History will be located in the lower level of the hotel and is expected to be unveiled to the public in January 2011. The Hall of History will include framed panels about the history of the hotel as well as various items exhibited in two display cases purchased from the original Eiband’s Department Store, which was formerly located at 2205 Post Office in Galveston. Hotel Galvez opened on June 10, 1911 at 6 p.m. and still stands as a symbol of Galveston Island’s resilience in the face of disaster following the Great Storm of 1900. This elegant beachfront hotel was immediately proclaimed the “Queen of the Gulf” and within one year of opening it was deemed the “best arranged and most richly furnished seaside hotel in America” by Hotel Monthly. When Hotel Galvez opened in 1911, Galveston had finished building its 17-foot seawall to protect the island and had completed its grade-raising project, which raised the grade of land to make the town and its buildings less susceptible to future flooding. The Causeway had been completed, connecting Galveston Island to mainland Texas. These major accomplishments were part of the island’s recovery following the Great Storm of 1900. In preparation for the hotel’s 100th anniversary in 2011, hotel owners George Mitchell and the Mitchell family are replacing the Gulf facing windows with operable, divided light windows reminiscent of the hotel’s original design. The guest rooms are being outfitted with new décor, including new furniture, bedding, drapes and flat screen televisions. Beginning in December 2010, the hotel will host monthly events and activities in celebration of its 100th anniversary, including the unveiling of the Hall of History in January. 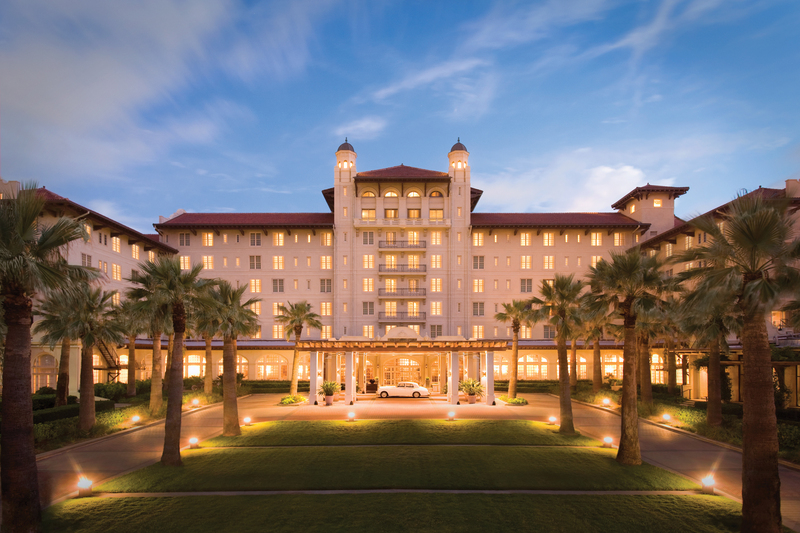 Hotel Galvez, A Wyndham Grand® Hotel and a National Trust Historic Hotel of America, remains the only historic beachfront hotel in Galveston. Hotel Galvez is rated four diamonds by AAA and is part of Mitchell Historic Properties. Wyndham Hotels and Resorts, LLC, and its affiliates, subsidiaries of Wyndham Worldwide Corporation (NYSE: WYN), offer upscale hotel and resort accommodations throughout the United States, Europe, China, Canada, Mexico and the Caribbean. All hotels are either franchised or managed by the company or managed through a joint venture partner. Hotel Galvez "Queen of the Gulf"
Hotel Galvez is Texas' only historic beachfront hotel. In preparation for the hotel's 100th anniversary, all Gulf facing windows will be replaced with operable, divided light windows reminiscent of the hotel's original design.